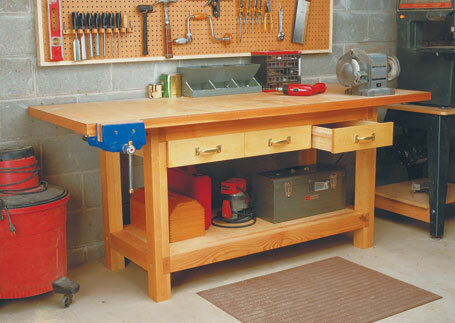 Build your own workbench from our step-by-step woodworking plans. 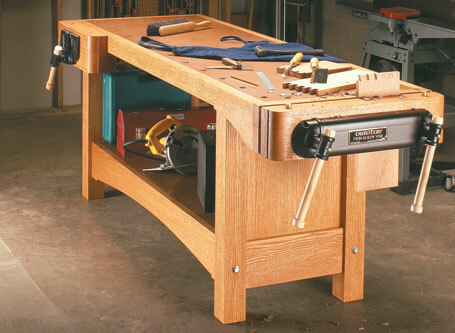 If you're looking for an heirloom quality bench or an easy-to-build, DIY workbench that you can build in a weekend, you'll be sure to find the project plans to suit your needs. 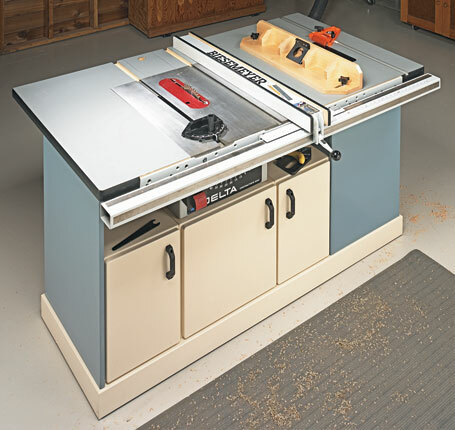 Plus, get storage solutions that can help you free up space in your workshop. 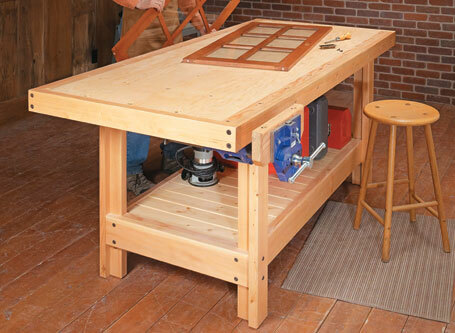 Take a contractor’s saw, a router, a few sheets of MDF, and a handful of hardware and turn it into this super workcenter. 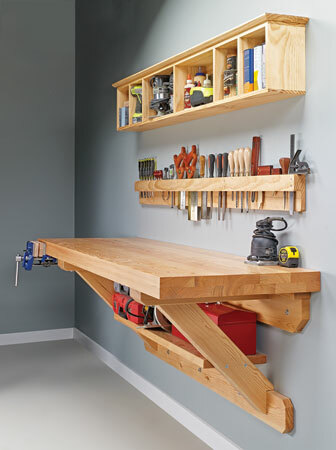 Flat, stable, and strong — you get it all with this unique bench that stands up to any task. This bench has all the classic features you've come to expect. But modern techniques make building it a snap. 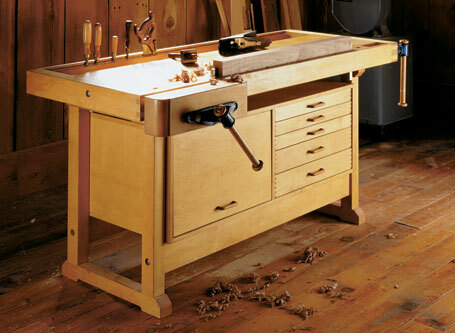 With solid construction and two vises, there isn't a task this classic workbench can't handle. 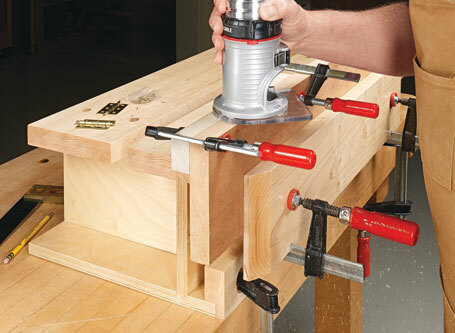 This pint-size bench is big on options to give you a solid grip on all kinds of workpieces — and raise them to a more comfortable level. 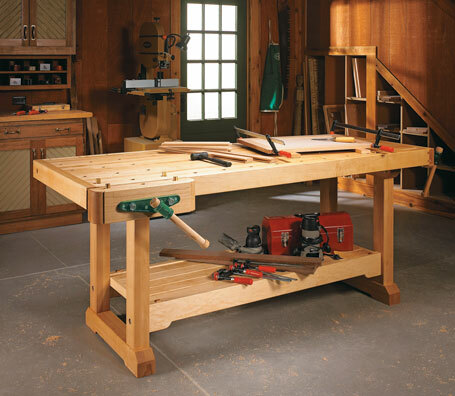 Some construction lumber and a weekend's worth of work can produce the most used tool in the shop... a workbench. 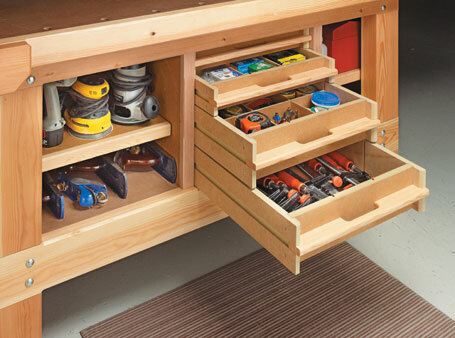 This space-saving cabinet adds storage to your workbench, plus its weight adds a little extra strength and stability. 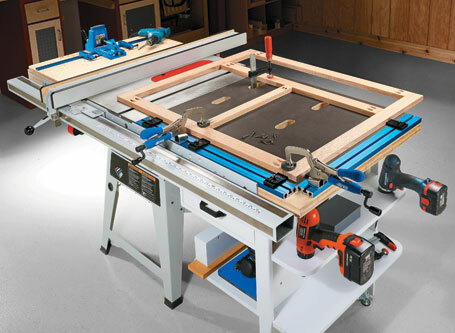 This easy-to-build modular system helps you turn unused space into valuable storage.